Though religious communities such as Ahmadis, Christians and Hindus have suffered discrimination in Pakistan for decades, their persecution has intensified in recent years and has now reached critical levels. 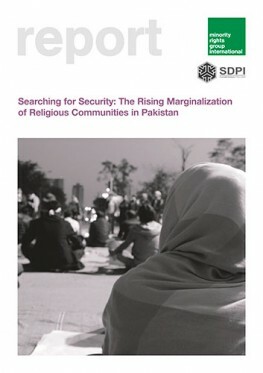 Drawing on an extensive review of published research and interviews with a range of activists and minority representatives, this report explores the key drivers of Pakistan’s continued religious discrimination at both an institutional and social level. This backdrop of discrimination – much of its actively promoted by government policies, national legislation and law enforcement agencies – in turn enables extremist groups to attack certain communities with impunity. As this report highlights, addressing these institutional and social inequalities is essential if security for all Pakistan’s communities is to be restored. Furthermore, the persecution in Pakistan is both a cause and a symptom of the broader deterioration in human rights and governance. The protection of these groups, in collaboration with civil society groups, religious leaders, law enforcement agencies and other stakeholders, is therefore an urgent priority. Failure to do so will not only continue to threaten the country’s diversity, but also the future stability of the country as a whole.